Vatika’s residential societies and independent apartment complexes are not just a place to live; it also gives you the freedom, to create your own world. A space, where you and your family can live in harmony; amidst picturesque landscaped trees and gardens, and the loving companionship of your friends and neighbours. Work and live in the ideal environment with the larger picture in mind and redefine completeness. Our residential spaces in Gurgaon and Jaipur provide all the modern amenities and facilities within your reach, to make your life simpler and easier. These residential spaces are self-contained units, as they have shopping arcades, hospitals, educational institutes at convenient distances from your home. 24/7 security at all entrances, CCTV secured premises, street-lights etc. ensures that your family feels safe and secured. We also make sure that you stay connected with the rest of the world; by internal and external road networks, and metro rail connectivity, near select residential complexes in Gurgaon and Jaipur (under construction). Our holistic approach toward designing and developing residential properties ensures that due care is given to even the slightest of details. What has resulted is one of the most practically and ergonomically constructed residential spaces in India. In compliance with international design standards, Vatika’s residential apartments in Gurgaon and Jaipur are spaciously built, while utilizing the available area in the best possible way. 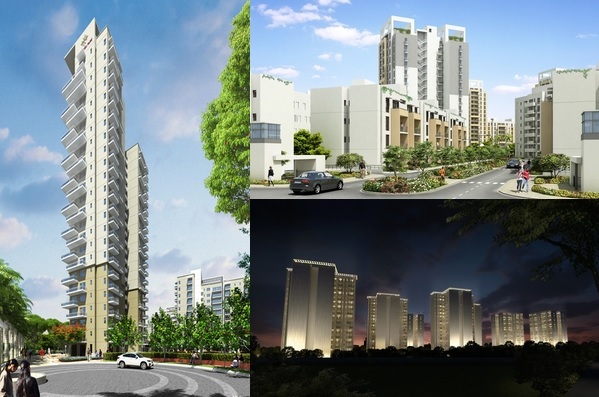 Vatika’s residential apartments have indeed a lot to offer. We provide all modern features and facilities, like sports and fitness centres, wi-fi hubs, and much more, to make sure that all your basic needs are at a stone’s throw away. We understand that for a holistic living experience, health of your family is very crucial. Hence, we lay emphasis to render an ambiance for your family, which is simple and serene, without compromising comfort and elegance. As an integral part of a holistic lifestyle, recreational and leisure activities are promoted,. We believe in creating an environment, which contributes to the social, physical and intellectual development of your family. We at Vatika Group believe that, simplicity is the ultimate sophistication. Staying true to our belief, we have some of the best residential apartments to offer that promise an uber lifestyle. Our innovative yet simplistic architectural designs help stand us apart, and puts us miles ahead of our contemporaries. Currently, Vatika Group has over 13 world class residential complexes to offer in prime locations in Gurgaon and Jaipur. Our decade-long commitment to develop residential spaces, which promise a simpler living experience has excelled us to new heights. Our residential apartments in Jaipur and Gurgaon are designed and built to perfection. Vatika Group prides itself to have become one of the leading residential real estate developers in India. And, has raised the standards for quality and lifestyle to a whole new level. Our belief that proficiency translates to exclusivity has helped us to create residential spaces, which are at par with international quality standards, and provide a safe haven for you and your family. This entry was posted in Residential Space and tagged homes by vatika, residential properties, residential societies, vatika flats on October 3, 2013 by Admin. As I think Vatika Group is well known real estate builder atleast in North India. And I have heard a lot about its townships and apartments. Since my few known persons are living in the Gurgaon in vatika’s flats and I have realized the facilities that they are providing. I really liked the amenities in the township like well designed and structured floors, gym equipped with costly equipments, pool, 24 hr power back up etc. I need vatika flats in Noida. have you ever any plan for establishing any project in Noida? Thanks for praising Vatika’s work. We are coming in Noida with our commercial project and that will be a business centre in Noida. But our residential projects are not in Noida but in future we may launch residential societies. Just be updated with Vatika. You can like our FB Page also – https://www.facebook.com/VatikaGroup so that you can get updated news from us.